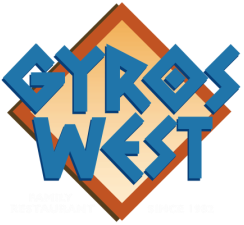 Gyros West is long recognized for excellence in the preparation of every recipe using the highest quality ingredients. Our reputation will get you here and our delicious food, excellent service, and customer value will keep you coming back. Voted one of the hottest spots in Waukesha﻿! Monday - Saturday 6:00 a.m.-9:00 p.m.
Sunday 7:00 a.m.- 9:00 p.m.